Rock songs compiled from the concerts of South Korean music group CNBLUE are at Radio Beşiktaş! With the CNBLUE Rock concept, you will start the new week full of energy. 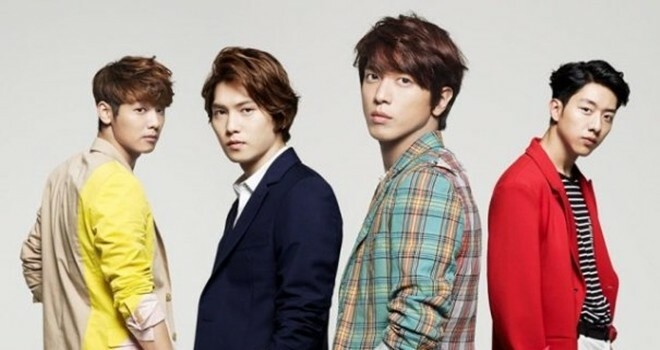 In cooperation with Radio Besiktas and Turkish official fan site “Turkish Boice”, The World-Famous South Korean Music Group CNBLUE’s songs are every weekday from 12:00 to 13.00 in Radio Besiktas. In each program, different songs, listener requests and continues with special programs prepared for each group member. This time, considering the suggestions from our listeners, on Monday, October 15th, we will broadcast with the concept of ”CNBLUE Rock“ in Radio Beşiktaş.